The ancient Mayan civilization was a hot topic a few years ago when the Mayan calendar system came to an end, inspiring some to believe that the world would end on December 21, 2012. The media hype that ensued was later termed ‘the 2012 phenomenon’. Of course, like many doomsday prophesies, the predictions did not come true. It’s a shame this event was the only exposure most people have had to Mayan culture, one of the most impressive and fascinating civilizations in the world. 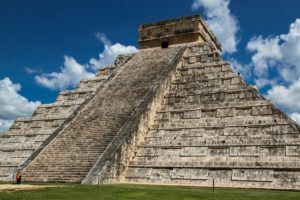 At its peak, from 250 to 900 AD, the Mayan civilization occupied a wide territory that included what is now Mexico’s Yucatán Peninsula, Guatemala, Belize, as well as western portions of Honduras and El Salvador. While unified by cultural and religious characteristics, the expansive territory never experienced centralized political rule but rather a series of allegiances to regional leaders. The Mayan civilization is distinguished by its hieroglyphic script—the only known fully developed writing system of the pre-Columbian Americas—as well as for its art, architecture, mathematics, calendar, astronomical system, and complex spiritual beliefs. By the time Spanish explorers arrived in the Yucatán in 1511 many of the Mayan cities were already abandoned or much reduced in size. Why the civilization shrank remains a mystery but there are many theories ranging from overpopulation, to ongoing military conflict, to a catastrophic environmental event, such as an intense drought. While the Spanish colonization stripped away some of the defining features of the Mayan civilization, many villages remained remote from Spanish colonial authority, and for the most part continued to live based on their ancient traditions. Their culture continues to endure today with approximately six million Maya currently living in Central America, where they speak Mayan languages, practice Mayan religion, and follow Mayan customs. With over a dozen major ruins on the Yucatán Peninsula, there is no shortage of options for visiting one of the great cities of the Mayan civilization. Once swallowed by the jungle and forgotten, many have been painstakingly excavated and restored to reveal soaring pyramids, elaborate carvings, stone monuments, impressive palaces, and ritual ball courts. Most of the sites offer guided tours so you can learn what it might have been like to live in one of these bustling cities. A cenote is the Mayan term for a natural freshwater sinkhole, a common geological feature in the Yucatán. 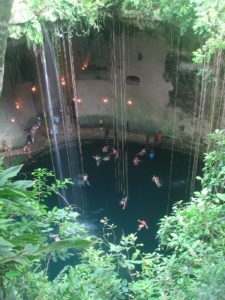 The word cenote is a Spanish transliteration of the Mayan word dzono’ot or ts’onot, which translates to ‘water filled cavity’ or ‘natural well’. There are no rivers in the Yucatán and the rainfall simply trickles through the underground landscape forming a thin layer of water called a lens aquifer. These aquifers flow horizontally, carving underground caves, and when the ceilings of these caves collapse, sinkhole openings to the surface are created. As the only natural source of freshwater, cenotes were essential drinking water resources to the ancient Maya. They were also believed to be passageways to the underground world of Xibala and the dwelling place of the rain god Chac. These sacred sites served a number of religious purposes, including ritual sacrifice. Today you can visit cenotes to swim, snorkel, scuba dive, view wildlife, and learn about their history. There are over 6,000 cenotes of all shapes and sizes in the Yucatán, making it hard to pick just one! The Maya were excellent farmers and domesticated many of the crops that are integral to the modern Mexican diet. The Mayan diet focused on four crops: maize, squash, beans, and chili peppers. 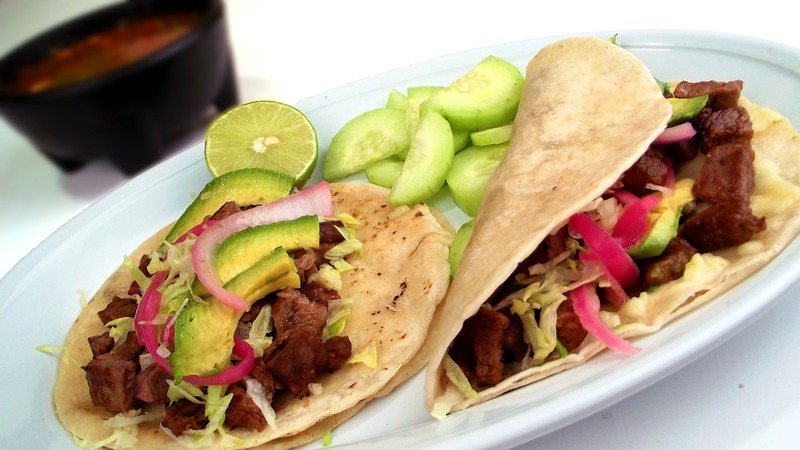 You can still try many traditional Mayan foods in Mexico today, including tortillas, tamales, and pozole. They were also the first to grow avocados and make guacamole, so you can thank the Maya the next time you’re paying extra for it with your take out tacos! The Maya are believed to have been the first people to make and consume chocolate, as early as 350 BC, by harvesting the seeds from cacao trees. They fermented and dried them, roasted them, removed their shells, and ground them into a paste. They combined this paste with water, cornmeal, chili peppers, and other spices. They would mix the drink by pouring it back and forth from a cup to a pot until a thick foam developed, and then enjoy the beverage cold – Very different from the hot chocolate we drink today! The word ‘chocolate’ is even said to come from the Mayan word ‘xocolatl’ which means ‘bitter water’. The cacao bean and beverage were considered the food of the gods and used by the Maya in a variety of religious rituals. The tradition of making chocolate products in Mexico remains strong today, with cacao producers striving to grow the best beans and a new generation of chocolatiers joining the gourmet chocolate movement. The Maya may have been on to something as modern studies have shown cacao’s ability to reduce blood pressure, boost energy, act as a diuretic, and treat asthma and respiratory issues. But who needs an excuse to eat chocolate? Archaeologists believe the Maya had a complex system of trade, that included trading in goods and services at outdoor markets. With cities housing up to 100,000 inhabitants, it would have been impossible for nearby agriculture to serve them all, requiring trade with surrounding areas and distant cities. Community markets and trade in local products continued long after the Spanish conquest and all over the Yucatán you will see bustling markets trading in all kinds of goods. The Maya were prolific artists and craftspeople, producing a vast array of artworks in every material available to them including stone, shells, bone, wood, obsidian, jade, silver, clay, stucco, textiles and precious metals. The traditions of Mayan arts and crafts remain strong today as many of the motifs, colours, and techniques of traditional Mayan art are still used by artists and craftspeople. This art often includes depictions of traditional myths and the ancient Mayan gods. You can find Mayan art in weavings, ceramics, masks, jewelry, clothing, sculptures, paintings, and much more! So, make sure to visit an art gallery or artist’s studio to experience it for yourself and maybe even take home a few souvenirs. In addition to its rich Mayan history, the Yucatán boasts impressive Spanish colonial architecture, stunning beaches, and exhilarating outdoor adventure, making it a fantastic holiday destination for any traveller. This winter join Wells Gray Tours as we explore the diverse culture and natural beauty of the Yucatán Peninsula. Delve into the mysteries of the Mayan civilization at the archeological sites of Palenque, Uxmal, and Chichen Itza. Learn about the local legends and participate in a Mayan ceremony held in honour of the rain god Chac. Swim in a sacred cenote. Tour the impressive colonial cities of San Cristóbal de las Casas, Campeche, and Mérida. Visit local markets and makers to learn the processes of producing traditional foods and crafts. And finally, finish your time in the Yucatán with complete relaxation at the Grand Bahia Principe Tulum all-inclusive resort. To find out more about this tour click on the links below.